I just love her, Angelina Jolie. 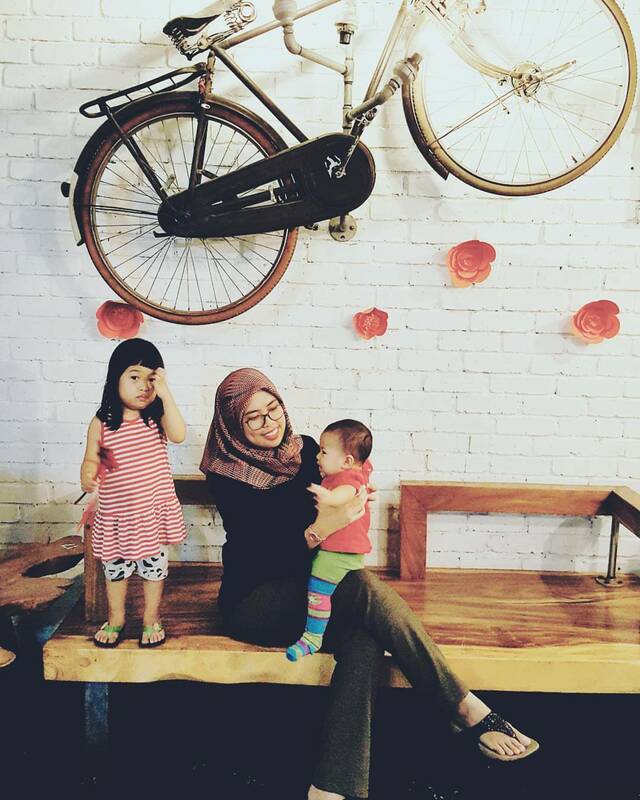 Seems like i've been missing from the blogging sphere haven't i? So many things happened in between my last post and now, so so many. But lets not get that in the way. I'd like to tell a story about something close to my heart today. To be more precise, TROLLBEADS. I think words cannot express how much i love this brand. My first trollbeads purchase was in the year 2015. See my old post on TROLLBEADS here. So, you guys tahu tak TROLLBEADS tu apa actually? Kalau yang suka pakai barang kemas i rasa mesti tahu. Baca selanjutnya untuk lebih details ok.
Trollbeads brand started in Denmark in 1976 by Søren Silversmith. He designed a bead with 6 faces on it. The first bead designed. Picture from trollbeads website. At that time, the trend was to have a silver bead hanging from a leather thong around the neck ( i think that would still be awesome nowadays). But instead of letting the bead hang in an eyelet, Søren wanted to let the leather cord go through the bead. Later on, Søren's sister, Lise, began to put the beads on silver bracelets, one on each bracelet. Lise then open her own jewelry store, and one day a customer asked to have an extra bead put on her bracelet. The storekeeper was surprised but followed the customer's wish. From then on, the adventure and Trollbeads movement started. In cooperation with the customers and according to their wishes, the collection grew. This was the invention and the beginning of an original jewellery concept that today is enjoyed worldwide. 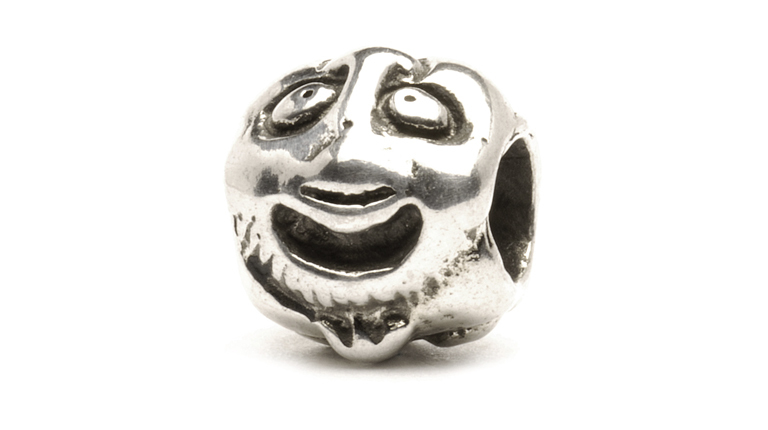 1st thing is i have to let you know how TROLLBEADS make their silver & gold charms. Totally handmade. They use a technique called 'lost wax' method which uses wax & manually carving out the details. Yup, so that is why if you hold one bead you can see the designs are really detailed. See this video that they made to show you the process. The difference you should know is that TROLLBEADS bracelets are an everyday wear kinda jewelry. Means, the bracelet is not super shiny like pandora. It has an oxidized rugged looking which is nice. Its still polished to a shine though. If you can see from the photo below, the chain is a 'snake' like chain, which has a very big advantage over pandora's bracelet. TROLLBEADS chain is so flexible even when you put on your beads & charms. Note that there are also NO 'screw' type, like in the pandora bracelet. You will be thankful for this if you love to change your beads according to your mood. It makes the job so easy - peasy. Another difference from pandora is TROLLBEADS bangle. Super easy and fuss free, versatile too. These bangles come in a variety of colours and designs. Perfect for showcasing that favourite charm of yours. I can't talk much about thomas sabo as i am not a fan, but i do know thomas sabo are more into dangling charms (cute). The clasp for TROLLBEADS bracelet are interchangeable! So its totally customizeable to your liking. There are so many designs of clasp so please go check it out. Price wise, TROLLBEADS aren't that far off from pandora and thomas sabo's price range. So where can you get these TROLLBEADS? So much yadda yadaa pija, where do you get to buy it already! Before i stop making you people read, please enjoy the images below. Hope it makes you run to the nearest store to get one! Disclaimer: All photos are not mine, please see the individual credit under the pictures. Last but not least, they even have a TIARA! So, PM me on facebook when you've got yourself one ok! I love chatting with charms addicts & jewelry lover like myself lol. These are really pretty and can be great to give as a gift too. I would love one as a gift Lol! How pretty! I hadn't heard of these before today, but they would make a lovely gift. It is surprising not many know about this brand but it does make a good gift. Wow. I have never heard of trollbeads before. It is easy to see why you love them so much! I've never heard of TrollBeads before. I love this style, but I'm not a big wearer of jewelry. I'd totally gift these though! Such beautiful jewelry pieces. Trollbeads sound like a great gift idea. I have to admit I've heard of trollbeads but I had no idea of their history how awesome is that and they are so pretty as well. Haha .. its nice to know about the history of somethings. 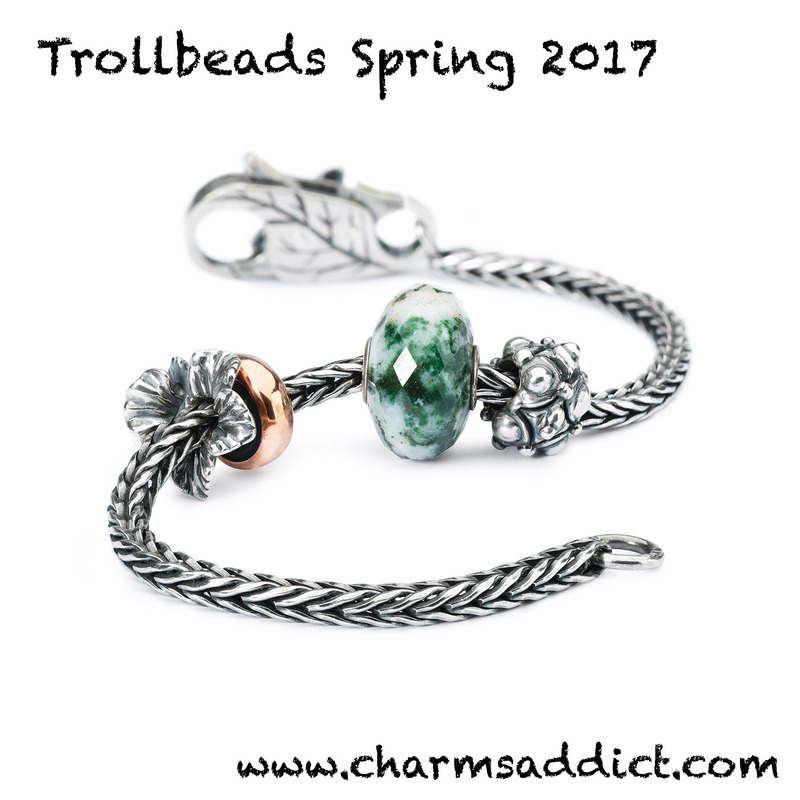 I'd never heard of trollbeads, but the finished products are lovely, and I know several people who would love to receive these as gifts! Wow they are so pretty! I saw Pandora and Thomas Sabo when I was in KL, but never saw Trollbeads. Love their workmanship! These are fantastic !! I love how everything is hand crafted. That is so awesome. I am not a jewellery person but these look beautiful and makes me want to buy them. It's great to know about the history behind it too.. helps to value the piece a little more. Troll beads are super cool and pretty. My gf loves to wear them. I think I'll buy one for her this Valentines Day! You won't have a problem buying your girlfriend a present after this. Trollbeads sound like a great gift idea.I would love one for Valentines Day! This is so cool I wish I had a Lord of the rings Troll bead. Is there such a thing as a LOTR trollbeads? That would be awesome! The last picture looks so much like a princess' crown - beautiful and elegant. I think the trollbeads are suitable for guys too as the beads are not so girlish. I love your write up. I don't even know anything about jewellery and not a fan of any. Love their design though. So unique! and yes it is nice the design. I love charms as well but the usual brands are getting too mainstream. Trollbeads look different and they stand out from the crowd. Thanks for introducing them. Will check them out after this. 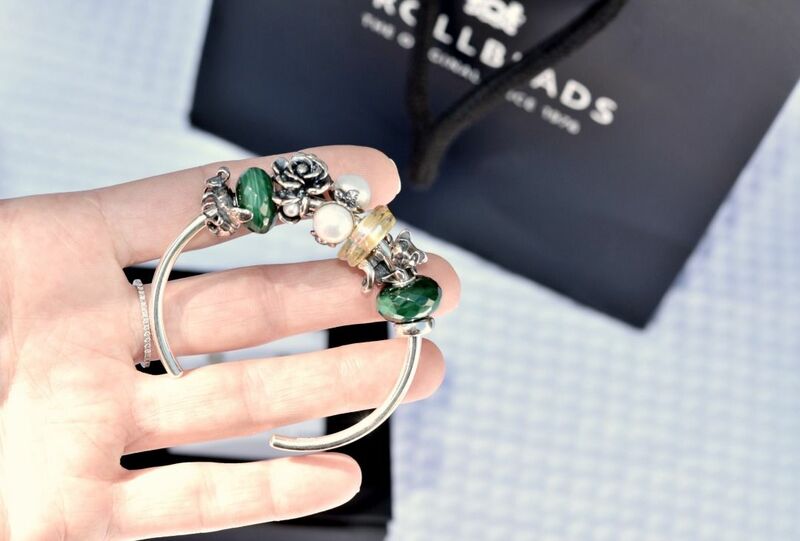 TROLLBEADS bangle looks stylish. Perfect for my CNY wear. I love all of those beads and will check them all out. I love bands that are sort of elastic like because I have a small arm and bangles slide off. I think the TROLLBEADS chain would be perfect for me. You could try the cuffs! I love the last pic...it is super cute. I just love these, and they make for great girlfriends gifts. Well the price is about the same range lah dear. I use to love charm bracelets when I was a teenager but now I don't care for them. My sister loves the Pandora ones so I'm sure she'd like these. I like how they carved them and make it personalized, gives additional value to every beads. These are cool! All their beads is so delicate and pretty! Can't stop myself to scrolling their website and look on their charms and design.